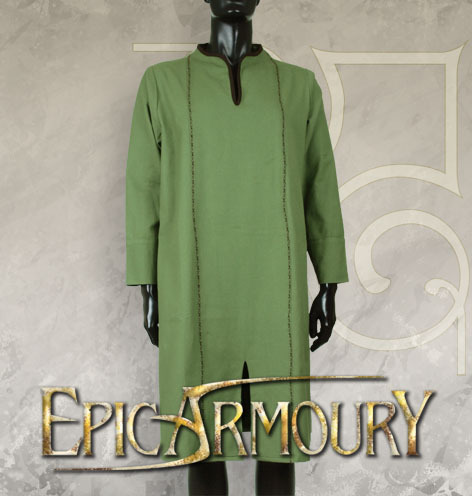 The LARP Elven Tunic is ideal for your basic under garments. 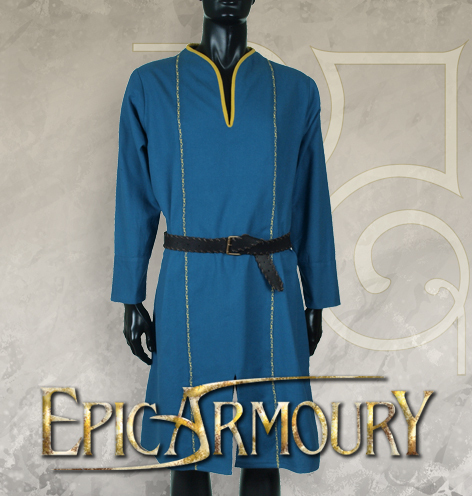 This costume is ideal for Knights, Merchants, Seers, Magi, adventurers and more! 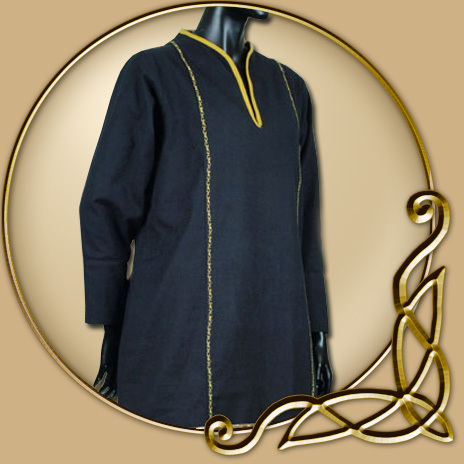 Knee-lenght tunic in A-cut, with long sleeves that ends in a narrow cuff. 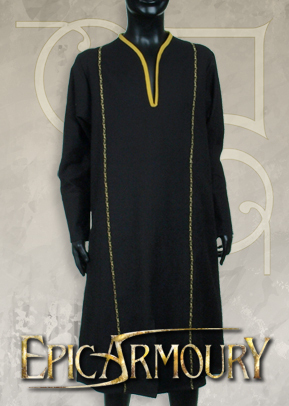 The centerpiece is double layer, and features machine embroideries in a complementary colour. 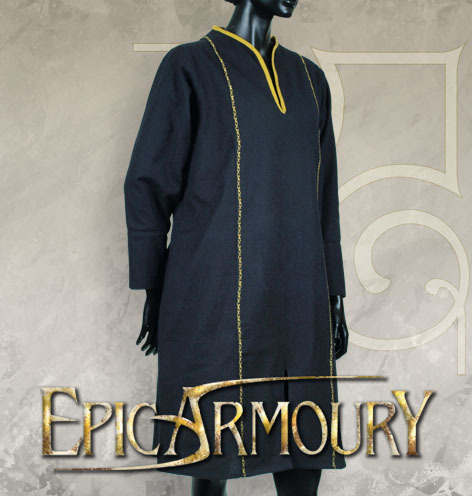 The neck has a smooth shape and a deep slit, and it is edged in a complementary colour as well. 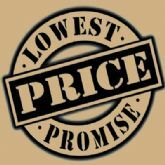 Materials- textured fabric, 100% cotton. Machine wash the dress warm (40°C), and remember to wash your newly purchased item separately the first few times, because of excess colour in the garment. Expect a shrink of ca. 3% when machine washed.